Research Interest: Toxicology; Physiology and neuroscience; Focusing on the ability of natural products to ameliorate the different environmental toxins. Biography: Currently Abdel Moneim is working as an Associate professor of physiology at Helwan University, Egypt. He was born in Cairo in 1977. He received his higher education at Helwan University in Egypt, where he studied science. In 2009, he awarded his philosophy degree in science. Abdel Moneim traveled to Spain several times to work with other scientists and to study. 1- Al-Quraishy, S.; Othman, M.S. ; Dkhilm M.A. and Abdel Moneim, A.E. (2017): Olive (Olea europaea) leaf methanolic extract prevents HCl/ethanol-induced gastritis in rats by attenuating inflammation and augmenting antioxidant enzyme activities. Biomedicine & Pharmacotherapy. 91:338-349. 2- Elkhadragy, M.F. ; Al-Olayan, E.M.; Al-Amiery;A.A. and Abdel Moneim, A.E. (2017): Protective Effects of Fragaria ananassa Extract Against Cadmium Chloride-Induced Acute Renal Toxicity in Rats. Biological Trace Element Research. doi: 10.1007/s12011-017-1062-7. 3- Abdel Moneim, A.E. ; Guerra-Librero, A.; Florido, J.; Shen, Y.Q. ; Fernández-Gil, B.; Acuña-Castroviejo, D. and Escames, G. (2017): Oral Mucositis: Melatonin Gel an Effective New Treatment. Intentional Journal of Molecular Science. 18(5): 1003. 4- Elmallah, M.I.Y. ; Elkhadragy, M.F. ; Al-Olayan, E.M. and Abdel Moneim, A.E. (2017): Protective Effect of Fragaria ananassa Crude Extract on Cadmium-Induced Lipid Peroxidation, Antioxidant Enzymes Suppression, and Apoptosis in Rat Testes. Intentional Journal of Molecular Science. 18(5): 1003. 5- Fernández-Gil, B.; Abdel Moneim, A.E. ; Ortiz, F.; Shen, Y.Q. ; Soto-Mercado, V.; Mendivil-Perez, M.; Guerra-Librero, A.; Acuña-Castroviejo, D.; Molina-Navarro, M.M. ; García-Verdugo, J.M. ; Sayed, R.K.; Florido, J.; Luna, J.D. ; López, L.C. and Escames, G. (2017): Melatonin protects rats from radiotherapy-induced small intestine toxicity. PLoS One. 12(4):e0174474. 6- Elkhadragy, M.F. and Abdel Moneim, A.E. (2017): Protective effect of Fragaria ananassa methanolic extract on cadmium chloride (CdCl2)- induced hepatotoxicity in rats. Toxicology Mechanisms and Methods. 27(5):335-345. 7- Dkhil, M.A. ; Zrieq, R.; Al-Quraishy, S. and Abdel Moneim A.E. (2016): Selenium nanoparticles attenuate oxidative stress and testicular damage in streptozotocin-induced diabetic rats. Molecules. 21(11), 1517. doi: 10.3390/molecules21111517. 8- Al-Olayan, E.M.; El-Khadragy, M.F. ; Alajmi, R.A.; Othman, M.S. ; Bauomy, A.A.; Ibrahim, S.R. and Abdel Moneim, A.E. (2016): Ceratonia siliqua pod extract ameliorates Schistosoma mansoni-induced liver fibrosis and oxidative stress. BMC complementary and alternative medicine.16 (1): 434. doi: 10.1186/s12906-016-1389-1. 9- Ahmed, H.H. ; Abd El-Maksoud, M.D. ; Abdel Moneim, A.E. and Aglan, H.A. (2017): Pre-Clinical study for the antidiabetic potential of selenium nanoparticles. Biological Trace Element Research 177(2):267-280. 11- Abdel Moneim A.E. (2016): Indigofera oblongifolia prevents lead acetate-induced hepatotoxicity, oxidative stress, fibrosis and apoptosis in rats. PLoS One. 11: e0158965. 12- Dkhil, M.A. ; Abdel Moneim A.E. and Al-Quraishy, S. (2016): Indigofera oblongifolia ameliorates lead acetate-induced testicular oxidative damage and apoptosis in a rat model. Biological Trace Element Research. doi: 10.1007/s12011-016-0689-0. 13- Dkhil, M.A. ; and Al-Quraishy, S.; Al-Khalifa, M.S. ; Zrieq, R. and Abdel Moneim A.E. (2016): Indigofera oblongifolia mitigates lead acetate-induced kidney damage and apoptosis in a rat model. Drug Design, Development and Therapy. 10:1847-1856. 14- Al-Olayan, E.M.; El-Khadragy, M.F. ; Aly, S.; Shata, M.T. ; Kassab, R.B. and Abdel Moneim, A.E. (2016): The beneficial effect of cape gooseberry juice on carbon tetrachloride-induced neuronal damage. CNS & Neurological Disorders - Drug Target. 15(3): 344-350. 15- Al-Quraishy, S.; Dkhil, M.A. and Abdel Moneim A.E. (2015): Anti- hyperglycemic activity of selenium nanoparticles in streptozotocin-induced diabetic rats. 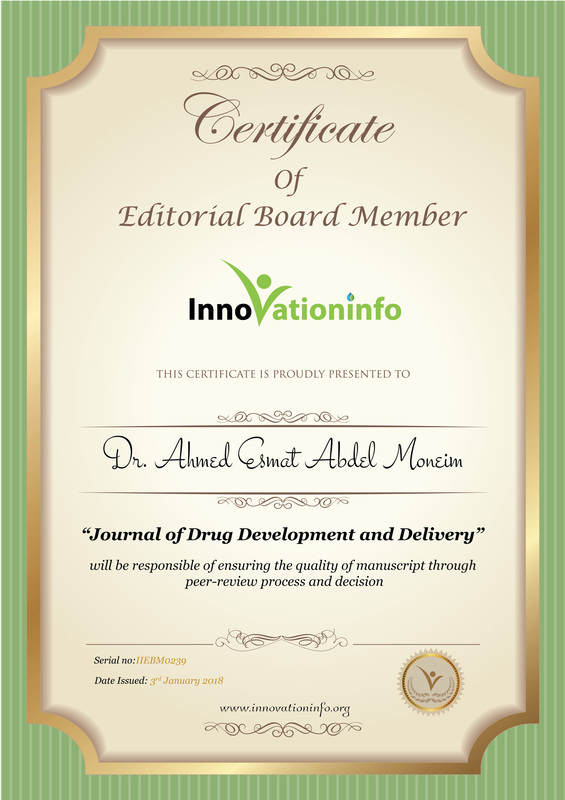 International Journal of Nanomedicine. 10: 6741-6756. 16- Al-Olayan, E.M.; El-Khadragy, M.F. and Abdel Moneim, A.E. (2015): The protective properties of melatonin against aluminium-induced neuronal injury. International Journal of Experimental Pathology. 96(3): 196-202. doi: 10.1111/iep.12122. 17- Nabil, H.M.; Hassan, B.N. ; Tohamy, A.A.; Waaer, H.F. and Abdel Moneim, A.E. (2015): Radioprotection of 1,2-dimethylhydrazine-initiated colon cancer in rats using low-dose γ rays by modulating multidrug resistance-1, cytokeratin 20, and β-catenin expression. Human Experimental Toxicology. pii: 0960327115584687. PMID:25926526. 18- Álvarez, Á.L. ; Habtemariam, S.; Abdel Moneim, A.E. ; Melón, S.; Dalton, K.P. and Parra, F. (2015): A spiroketal-enol ether derivative from Tanacetum vulgare selectively inhibits HSV-1 and HSV-2 glycoprotein accumulation in Vero cells. Antiviral Research. 19- Abdel Moneim, A.E. (2015): Oxidant/antioxidant imbalance and the risk of Alzheimer's disease. Current Alzheimer Research. 12(4): 335-349. 20- Abdel Moneim, A.E. (2015): The neuroprotective effect of berberine in mercury-induced neurotoxicity in rats. Metabolic Brain Disease. 30(4): 935-942. 21- Abdel Moneim, A.E. ; Ortiz, F.; Leonardomendoca, R.C. ; Vergano-Villodres, R., Guerrero-Martínez, J.A. ; López, L.C. ; Acuña-Castroviejo, D. and Escames, G. (2014): Protective effects of melatonin against oxidative damage induced by LD50 Naja haja crude venom in rats. Acta Tropica. 143C: 58-65. 22- Al-Johany, A.M.; Al-Sadoon, M.K. ; Abdel Moneim, A.E. ; Bauomy, A.A. and Diab, M.M. (2014): Histological, molecular and biochemical detection of renal injury after Echis pyramidum snake envenomation in rats. Saudi Journal of Biological Sciences. 22(3): 302-311. 23- Dkhil, M.A. ; Al-Quraishy, S.; Farrag, A.H.; Aref, A.M.; Othman M.S. and Abdel Moneim A.E. (2014): Oxidative stress and apoptosis are markers in renal toxicity following Egyptian cobra (Naja haje) envenomation. Pakistan Journal of Zoology. 46(6): 1719-1730. 25- Dkhil, M.A. ; Al-Quraishy, S. and Abdel Moneim, A.E. (2014): Hepatotoxicity and oxidative stress induced by Naja haje crude venom. Journal of Venomous Animals and Toxins including Tropical Diseases. 20: 42. 26- Abdel Moneim, A.E. (2014): Prevention of carbon tetrachloride (CCl4)-induced toxicity in testes of rats treated with Physalis peruviana L. fruit. Toxicology and Industrial Health. Published online 21 August 2014. 27- Abdel Moneim, A.E. ; Othman, M.S. and Aref, A.M. (2014): Azadirachta indica attenuates cisplatin-induced nephrotoxicity and oxidative stress. BioMed Research International. 2014, Article ID 647131, 11 pages. 28- Abdel Moneim, A.E. ; Bauomy, A.A.; Diab, M.M.S. ; Shata, M.T.M. ; Al-Olayan E.M. and El-Khadragy, M.F. (2014): The protective effect of Physalis peruviana L. against cadmium-induced neurotoxicity in rats. Biological Trace Element Research. 160: 392-399. 29- Al-Olayan, E.M.; El-Khadragy, M.F. ; Metwally, D.M. and Abdel Moneim, A.E. (2014): Protective effects of pomegranate (Punica granatum) juice on testes against carbon tetrachloride intoxication in rats. BMC complementary and alternative medicine. 14: 164. 30- Othman, M.S. ; Safwat, G.; Aboulkhair, M. and Abdel Moneim, A.E. (2014): The potential effect of berberine in mercury-induced hepatorenal toxicity in albino rats. Food and Chemical Toxicology. 69: 175-181. 31- El-Habit, O. and Abdel Moneim, A.E. (2014):Testing the genotoxicity, cytotoxicity, and oxidative stress of cadmium and nickel and their additive effect in male mice. Biological Trace Element Research. 159: 364-372. 32- Othman, M.S. ; Nada, A.; Zaki, H.S. and Abdel Moneim, A.E. (2014): Effect of Physalis peruviana L. on cadmium-induced testicular toxicity in rats. Biological Trace Element Research. 159: 278-287. 33- Abdel Moneim, A.E. (2014): Azadirachta indica attenuates cisplatin- induced neurotoxicity in rats. Indian Journal of Pharmacology. 46(3): 316-321. 34- Al-Olayan, E.M.; El-Khadragy, M.F. ; Othman, M.S. ; Aref, A.M.; Kassab, R.B. and Abdel Moneim, A.E. (2014): The potential protective effect of Physalis peruviana L. against carbon tetrachloride-induced hepatotoxicity in rats is mediated by suppression of oxidative stress and downregulation of MMP-9 expression. Oxidative Medicine and Cellular Longevity. Volume 2014, Article ID 381413, 12 pages. 35- Al-Olayan, E.M.; El-Khadragy, M.F. and Abdel Moneim, A.E. (2014): Neuroprotective effects of Citrus reticulata in scopolamine-induced dementia oxidative stress in rats. CNS & Neurological Disorders - Drug Targets. 13(4): 684-690. 36- Dkhil, M.A. ; Abdel Moneim, A.E. and Al-Quraishy, S. (2014): Berberine protects against Schistosoma mansoni-Induced oxidative damage in renal and testicular tissues of mice. Pakistan Journal of Zoology. 46(3): 763-771. 37- Tohamy, A.A.; Mohamed, A.F. 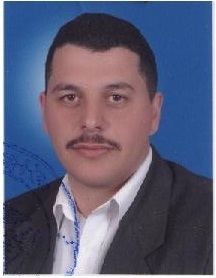 ; Abdel Moneim, A.E. and Diab M.M. (2014): Biological effects of Naja haje crude venom on the hepatic and renal tissues of mice. Journal of King Saud University – Science. 26(3): 205-212. 38- Ezz-Din, D.; Gabry, M.S. ; Farrag, A.H. and Abdel Moneim, A.E. (2013): The protective role of neem leaves extract on cisplatin-induced polysaccharides and protein depletion in rat liver and kidney. Pakistan Journal of Zoology. 45(6): 1687-1698. 39- Tohamy, A.A.; Ibrahim, S.R. and Abdel Moneim, A.E. (2013): Trigonella foenum graecum and Saliva aegyptiaca modulates hepatic redox status in Ehrlich-ascites-carcinoma-bearing mice. Journal of Applied Pharmaceutical Science. 03(11): 045-050. 40- Dkhil, M.A. ; Al-Quraishy, S.; Aref, A.M.; Othman, M.S. ; El-Deib, K.M. and Abdel Moneim, A.E. (2013): The potential role of Azadirachta indica treatment on cisplatin-induced hepatotoxicity and oxidative stress in female rats. Oxidative Medicine and Cellular Longevity.Volume 2013. 41- Abdel Moneim, A.E. (2013): Thimerosal in H1N1 vaccine-induced oxidative stress and apoptosis in brain of adult mice. World Journal of Pharmacy and Pharmaceutical Sciences. 2(6): 6094-6108. 42- Abdel Moneim, A.E. (2014): Citrus peel extract attenuates acute cyanide poisoning-induced seizures and oxidative stress in rat. CNS & Neurological Disorders - Drug Targets. 13(4): 638-646. 43- Metwally, F.M. ; El-Mezayen, H.A. ; Abdel Moneim, A.E. and Sharaf, N.E. (2014): Anti-tumor effect of Azadirachta indica (neem) on murine solid Ehrlich carcinoma. Academic Journal of Cancer Research 7 (1): 38-45. 44- Al-Sadoon, M.K. ; Abdel Moneim, A.E. ; Bauomy, A.A. and Diab, M.M. (2013): Histochemical and biolchemical effects induced by LD50 of Cerastes cerastes gasperetti crude venom in mice. Life Science Journal. 10(4): 810-817. 45- Al-Sadoon, M.K. ; Abdel Moneim, A.E. ; Diab, M.M. and Bauomy, A.A. (2013): Hepatic and renal tissue damages induced by Cerastes cerastes gasperetti crude venom. Life Science Journal. 10(4): 191-197. 46- Abdel Moneim, A.E. (2013): The neuroprotective effects of purslane (Portulaca oleracea) on rotenone-induced biochemical changes and apoptosis in brain of rat. CNS & Neurological Disorders - Drug Targets. 12(6): 830-841. 47- Abdel Moneim, A.E. ; Othman, M.S. ; Mohmoud S.M. and El-Deib K.M. (2013): Pomegranate peel attenuates aluminum-induced hepatorenal toxicity. Toxicology Mechanisms and Methods. 23(8): 624-633. 48- Abdel Moneim, A.E. ; Dkhil, M.A. and Al-Quraishy, S. (2013): Effect of pomegranate (Punica granatum L.) juice and methanolic peel extract on testis of male rats. Pakistan Journal of Zoology. 45(5): 1343-1349. 49- Abdel Moneim, A.E. and El-Khadragy, M.F. (2013): The potential effects of pomegranate (Punica granatum) juice on carbon tetrachloride- induced nephrotoxicity in rats. Journal of Physiology and Biochemistry. 69: 359-370. 50- Abdel-Rahman M.; Elebiary A.S.; Hafez S.S.; Mohammed H.E. and Abdel Moneim A.E. (2013): The therapeutic activity of bee-stings therapy in rheumatoid arthritis causes inflammation and oxidative stress in female patients. International Journal of Research in Ayurveda and Pharmacy. 4(3): 316-321. 51- Abdel-Rahman, M.; Mohamed, A.F. ; Essam N. and Abdel Moneim, A.E. (2013): Studies on H1N1 vaccine-induced monoamines alternations and oxidative stress on brain of adult mice. Journal of Applied Pharmaceutical Science. 3(04): 048-053. 52- Bauomy, A.A.; Diab, M.S.M. ; Abdel Moneim, A.E. ; Dkhil, M.A. and Al-Quraishy, S. (2013): Neuronal activities of berberine in Schistosoma mansoni-infected mice. African Journal of Pharmacy and Pharmacology. 7(7): 368-374. 53- Abdel Moneim, A.E. ; Dkhil, M.A. and Al-Quraishy, S. (2013): The potential role of Portulaca oleracea as a neuroprotective agent in rotenone-induced neurotoxicity and apoptosis in the brain of rats. Pesticide Biochemistry and Physiology. 105 (3): 203–212. 54- Mahmoud, S.M; Al-Azhary, D.B, and Abdel Moneim, A.E. (2013): Panax ginseng extract ameliorates disturbed lipid metabolism and associated thyroid hormones in sera of alloxan-induced diabetic rats. Life Science Journal. 10(1): 1136-1143. 55- Al-Quraishy, S.; Dkhil, M.A. and Abdel Moneim, A.E. (2013): Hepatic oxidative stress in gerbils infected with Babesia divergens- infected erythrocytes. Ticks and Tick-Borne Diseases. 4(4): 346-351. 56- Mahmoud, S.M and Abdel Moneim, A.E. (2013): The protective effect of pomegranate (Punica granatum) juice against carbon tetrachloride-induced oxidative stress in brain tissue of adult male albino rats. Life Science Journal. 10(1): 151-158. 57- Tohamy, A.A.; Mohamed, A.F. ; Diab M.M. and Abdel Moneim, A.E. (2013): Biochemical and histological effects induced by sublethal dose of Naja haje venom in testis of mice. Egyptian Journal of Natural Toxins. 10(1,2): 46-62. 58- Dkhil, M.A. ; Al-Quraishy, S.; Abdel Moneim, A.E. and Delic, D. (2012): Protective effect of Azadirachta indica extract against Eimeria papillata-induced coccidiosis. Parasitology Research. 112(1): 101-106. 59- Abdel Moneim, A.E. (2012): Evaluation the potential role of pomegranate peel in aluminum induced oxidative stress and histopathological alternation in brain of female rats. Biological Trace Element Research. 150(1-3): 328-336. 60- Al-Quraishy, S.; Dkhil, M.A. and Abdel Moneim, A.E. (2012): Protective effects of Portulaca oleracea against rotenone mediated depletion of glutathione in the striatum of rats as an animal model of Parkinson’s disease. Pesticide Biochemistry and Physiology. 103(2): 108–114. 61- Dkhil, M.A. ; Abdel Moneim, A.E. and Al-Quraishy, S. (2012): Antioxidant, hepatoprotective, and ameliorative effects of Azadirachta indica on Eimeria papillata-induced infection in mice. Journal of Medicinal Plants Research. 6(20): 3640-3647. 62- Abdel Moneim, A.E. (2012): Flaxseed oil as a neuroprotective agent on lead acetate-induced monoamineric alterations and neurotoxicity in rats. Biological Trace Element Research. 148(3): 363-370. 63- Tohamy, A.A.; Ibrahim, S.R. and Abdel Moneim, A.E. (2012): Studies on the effect of Salvia aegyptiaca and Trigonella foenum graecum extracts on adult male mice. Journal of Applied Pharmaceutical Science. 02(05): 36-43. 64- Abdel Moneim, A.E. ; Al Nasr, I.; Dkhil, M.A. and Al-Quraishy, S. (2012): Neuronal activities of Portulaca oleracea in adult rats. Journal of Medicinal Plants Research. 6(16): 3162-3168. 65- Abdel Moneim, A.E. ; Dkhil, M.A. and Al-Quraishy, S. (2012): Studies on the effect of pomegranate (Punica granatum L.) juice and methanolic peel extract on testis of male rats. Journal of Medicinal Plants Research. 5: 5083-5088. 66- Abdel Moneim, A.E. (2012): Antioxidant activities of Punica granatum (pomegranate) peel extract on brain and serum of rats. Journal of Medicinal Plants Research. 6(2): 195-199. 67- Abdel Moneim, A.E. and El-Deib K.M. (2012): The possible protective effects of Physalis peruviana on carbon tetrachloride-induced nephrotoxicity in male albino rats. Life Science Journal. 9(3): 1038-1052. 68- Dkhil, M.A. ; Abdel Moneim, A.E. ; Al-Quraishy, S. and Saleh R.A. (2011): Antioxidant effect of purslane (Portulaca oleracea) and its mechanism of action. Journal of Medicinal Plants Research. 5(9): 1589–1593. 69- Abdel Moneim, A.E. ; Dkhil, M.A. and Al-Quraishy, S. (2011): Effects of flaxseed oil on lead acetate-induced neurotoxicity in rats. Biological Trace Element Research. 144(1-3): 904-913. 70- Abdel Moneim, A.E. ; Dkhil, M.A. and Al-Quraishy, S. (2011): The protective effect of flaxseed oil on lead acetate-induced renal toxicity in rats. Journal of Hazardous Materials. 194: 250-255. 71- Abdel Moneim, A.E. ; Dkhil, M.A. and Al-Quraishy, S. (2011): The redox status in adult male albino rats treated with flaxseed oil and lead-induced hepatotoxicity. Biological Trace Element Research. 143(1): 457-67. 72- Abdel Moneim, A.E. ; Dkhil, M.A. and Al-Quraishy, S. (2011): The potential role of flaxseed oil on lead acetate-induced kidney injure in adult male albino rats. African Journal of Biotechnology. 10(8): 1436 -1451. 73- Ezz-Din, D.; Gabry, M.S. ; Farrag, A.H. and Abdel Moneim, A.E. (2011): Physiological and histological impact of Azadirachta indica (neem) leaves extract in a rat model of cisplatin-induced hepato and nephrotoxicity. Journal of Medicinal Plants Research. 5(23): 5499-5506. 74- Abdel Moneim, A.E. ; Dkhil, M.A. and Al-Quraishy, S. (2010): Protective role of flaxseed oil against lead acetate induced oxidative stress in testes of adult rats. African Journal of Biotechnology. 9(42): 7216-7223. 75- Ahmed, H.H. ; Abdel-Rahman, M. and Abdel Moneim, A.E. (2009): Potential role of Ginkgo biloba extract and pumpkin seed oil against neurotoxicity of rotenone in adult male rats. Journal of Applied Sciences Research. 5(6): 622-635. 76- Abdel-Rahman, M.; Ahmed, H.H. and Abdel Moneim, A.E. (2008): Ameliorative effect of grape seed extract against rotenone-induced neurotoxicity in adult male albino rats. JASMR. 3(2): 227-242. 77- El-Yamany, N.A. ; Mahmoud, S.M. and Abdel Moneim, A.E. (2004): The ameliorative effect of Panax ginseng extract on norepinephrine, dopamine and serotonin level in different brain regions of alloxan-induced diabetic rats. Egypt J. Zool. 43: 347-366.